And it’s ultimately about jazz. But it going to be a bit of a journey till we get there. In the 1910s and 1920s, the north of Palestine, the Galilee, was sparsely populated by indigenous Arabs. Hundreds, then thousands of Jewish settlers came to settle unoccupied land, but the locals were notably, often violently inhospitable. In1909, a handful of hotheaded settlers formed HaShomer, a sort of Jewish Defense League. They rode horses and tried to protect the settlers, but were limited to chance encounters and small skirmishes. 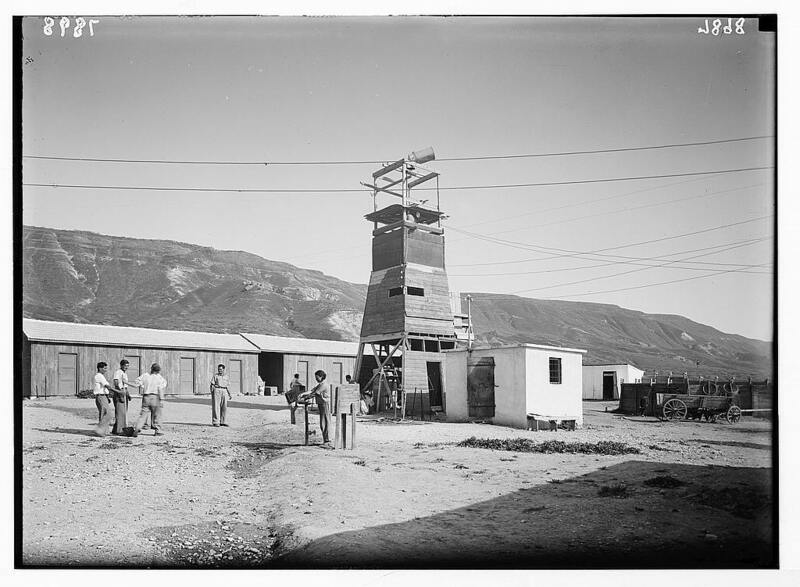 In the 1930s, the Jewish settlement movement upped the ante by establishing a number of kibbutzim, often using the Homa uMigdal (wall and tower) method (putting up a watchtower and fence overnight, because Turkish rule recognized this as a structure and forbade its destruction). In 1938, Emmanuel Linn (lyrics) and Benjamin Omer (music) prepared a song, ‘Shir HaShomer’ (Song of the Watchman’) for the Channuka party of Kibbutz Mishmar HaEmek, one of these Homa uMigdal settlements. The song exalts the tenacity of the settlers in holding tight to the land, symbolized by the watchman standing on the tower on high, ready for any marauding attackers, dizzy with love for the very land he is guarding. מַה לִּי וּמִי לִי עוֹד, כְּנַעַן? The music of the song reflects the contrast between the frightful night (the verse) and the joyous day (the chorus). The verse is slow, tense, vaguely East European (Russian/Yiddish). The chorus is bouncy, forward moving, drum-driven, confident. The New Jew. The song became a quintessential expression of the entire Zionist ethos. 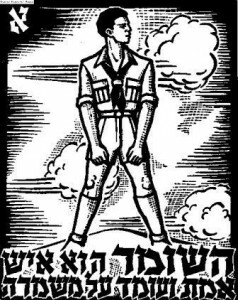 A boy born in 1950 to an insurance agent and an electric company clerk in urban Petah Tikva, catching just a phrase of the song, becomes in his heart and mind that courageous Israelite from a generation earlier, a reality already hardly imaginable. Sabra children heard these songs as they suckled. They copiously copied and memorized the words in the fourth grade, and sang them and danced to them at their parties at age 13, at 18, at 23, in their hearts and minds still at 60. 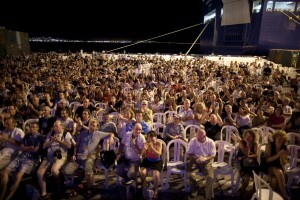 The song is part and parcel of the very essence of the Israeli self-image. The key phrase, by the way, comes from Isaiah 21:11– שומר, מה מלילה? שומר, מה מליל?. It’s a poetic turn of phrase, something along the line of ‘Oh, watchman, what brings the night? How are you? How are we? Is there danger approaching?’ Plus ça change, plus c’est la même chose. I was fortunate enough to catch a set at the Red Sea Jazz Festival last week by the very fine soprano saxophonist Daniel Zamir. Daniel (b. 1981) went through a typical secular high school experience in Israel, then moved to New York and was caught up in John Zorn’s Jewish avant garde free jazz scene. He also became involved in the Chabad (Hassidic) movement, and subsequently returned to Israel. He has evolved into a consummate artist presenting a mix of cutting-edge jazz, klezmer, and no little degree of Israeli-ism. I’ve known lots of Chabad ‘hozrim b’tshuva’ (adopting a religious life-style). A common trait among virtually all of them is that they maintain their interests and involvement in a wide variety of fields of interest, secular and religious. They don’t cloister themselves. Their Lubavitcher adherence rarely supplants their life in the world outside. But it seems to me that their Chabad ideology always takes a certain primacy, a priority. The Rebbe always has the last word. I don’t know exactly how Daniel shuffles his very rich deck. I hope to have the chance someday soon to have a nice sitdown with him and try to sort it out. 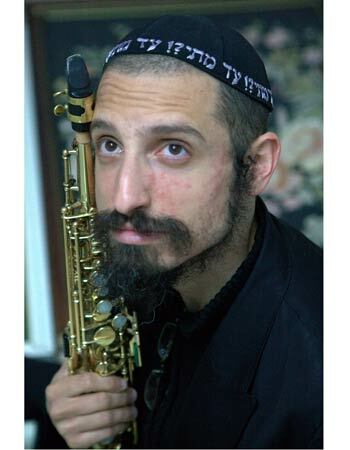 But I’m fascinated by the fact that with all his Lubavitcherkeit and free jazz mentality and Americanism, his music continues to lean so faithfully on his (secular) Zionist roots. He dedicates a CD to Gilad Shalit. He uses songs from “Eretz Yisrael HaYafa” (“Songs of Good Old Israel”) as source material. 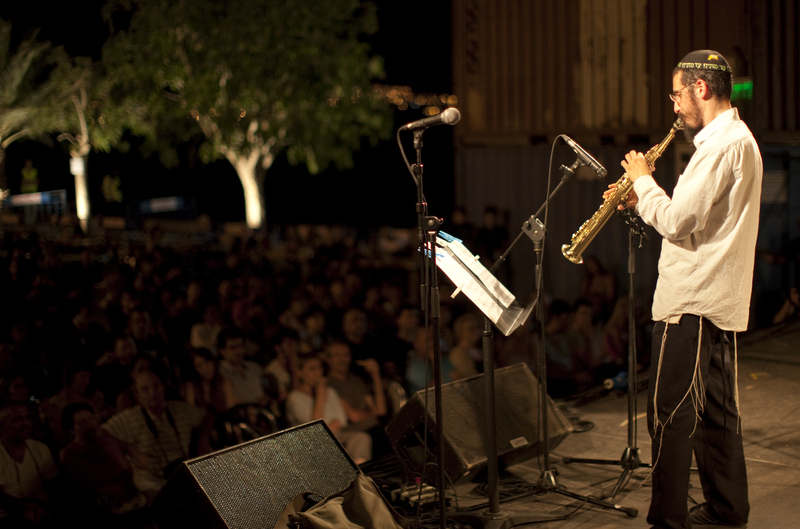 It isn’t to Ornette Coleman or the Modzitzer Rebbe that he goes – it’s to Naomi Shemer and Benjamin Omer. Let’s go back to ‘Shir HaShomer’ for a moment. What was the very basic drive that brought the earliest settlers to leave their homes and families and religion in the shtetl and recreate themselves as the New Israelites in a desolate, unwelcoming corner of the Levant? It was the desire to determine their own destiny, to leave behind the life of the persecuted prey, to achieve a self-reliant independence that would enable them to raise their children in security. Not without fear, because they were living within that Homa uMigdal (wall and watchtower). Why is ‘Shir HaShomer’ such an iconic expression of that state? It’s because the verse expresses all the fear that was inherent in their shtetl life (fears that were all too soon realized beyond imagination), segueing into the ‘raucous’ chorus (well, for the 1930s that was a pretty rip-loose rhythm) engendered by the empowerment of freedom. Leaping from the constrained to the unfettered. That’s not such a foreign concept to jazz musicians, is it? Is it not what Miles Davis does when he plays a chorus of the melody of ‘Bye, Bye Blackbird’, and then moves from it into an improvised, personal exploration of new, free musical vistas? So it seems to me that when all those folk-dancing Sabras are gently, smoothly swaying to the rubato verse, and then, Whoo! comes the break-loose chorus, they’re expressing the history of their forefathers that brought them toIsrael. And it seems to me that when Daniel Zamir drinks from that well, he’s drawing from the very same impulse. Except that now we’re witnessing one very slightly-built soprano saxophonist standing on the shoulders of a couple of giant traditions, Zionism and jazz. And that’s just the tame studio version. 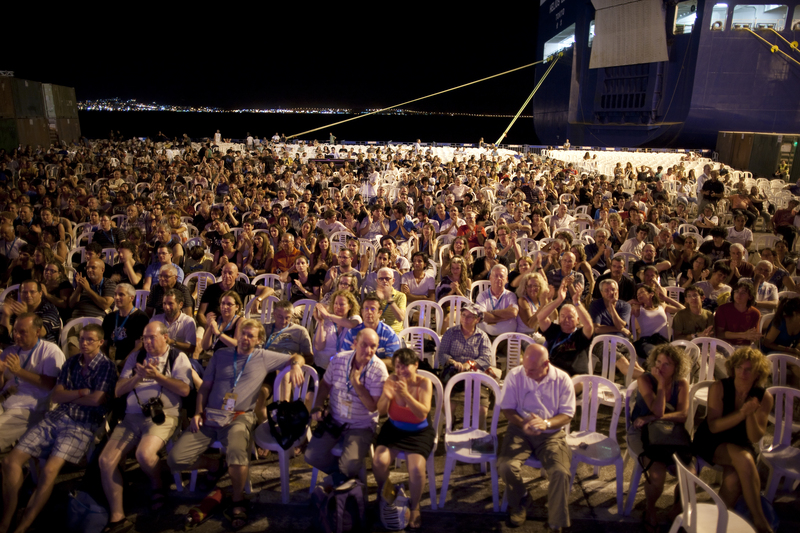 Fast forward to last week, August 2011, at the Red Sea Jazz Festival. Put Daniel as the opening act in front of several thousand sympathetic listeners thumbing their noses at the terrorist attacks which threatened to cancel the festivities, lots of af al pi chen (‘despite everything’) in the air. Listen to Daniel’s warm and winding arpeggios, exploring, probing, breathing a stubborn vitality into this old tune. It’s hard to hear heartthrob Samurai bassist Gilad Abro on this low-resolution recording, but to see him is to recognize him as the heart of the group, pumping blood and energy and excitement into the mix. Listen to Zamir’s generosity as he gives the stage to his young band members. 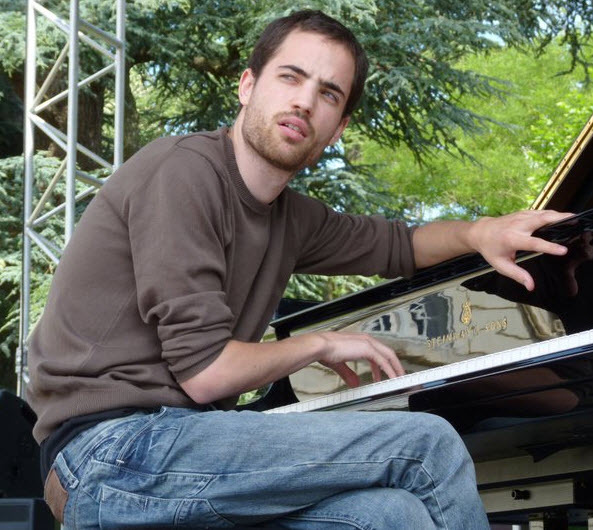 The very talented young pianist Nitay Hershkowits takes the forefront at 3:50, working the melody with the utmost respect, kneading life into it with such persistence. He also learned the song in kindergarten. 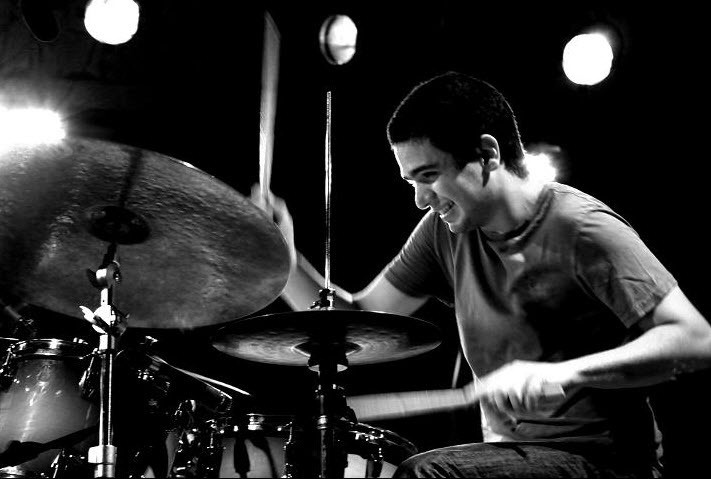 But probably not in that 11/8 tempo, or whatever it is, that 21-year old drummer Amir Bresler is cooking. At the beginning of the second part, Daniel brings back the melody, but now with a fever, raising the stakes, the four watchmen racing the pulse. And then at 4 minutes from the end, Messrs Zamir, Hershkowitz and Abro lay out, comping for young Amir. This isn’t a drum solo, it’s the climax of a drum concerto. He provides the coup de grace, a stunning, dizzying personal statement as the culmination of Zamir’s reading of ‘Shir HaShomer’ and the tradition from which it arises. The kid is a drummer genius. I know that’s an oxymoron. I don’t remember ever hearing a drummer with such a sense of musicality, a composer’s sense of structure, an arranger’s sense of texture. He’s twenty-one and a half. He finished the army half a year ago, and is currently working in bassist Avishai Cohen’s trio. These four young Israelis are singing together in a profoundly expressive musical voice, fully aware of the tradition from which they’re coming, fully exploiting the freedom this tradition has given them to express in their own vibrant, young voices the excitement of break-loose Whoo! Their grandfathers, I believe, would be proud. 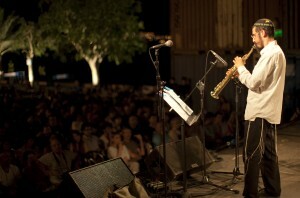 I think you have touched on a core issue here: why is there such a dynamic young jazz scene in Israel? The upcoming wealth of talent, kids really, in their teens and twenties (shades of Lee Konitz!). Excellent players, in love with life and Jazz. 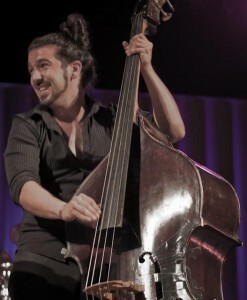 Older stars like Avishai Cohem (bassist) bring thing them forward. It’s amazing and I hope you explore this issue further in future blogs.